How Do Promoted Pins on Pinterest Work? When most people start a business, the goal is to get leads and ultimately make money. But, I think you will find a large benefit in gaining a social media presence as well. Social media is a superb way to get a “following”, get leads, potential customers, make sales, make your business presence known better, etc. You absolutely need a following; Fans on Facebook, Connections on LinkedIn, Followers on Twitter, etc. The more people that follow you and the more people you have on your social media profiles, the more of a reach you will have. It’s just common sense. More leads = more of a chance to generate leads which obviously leads to making more money! In order to increase your core social reach there are a few things you should consider. Listed below are a few ways to expand your reach. When most people see the word optimization, they automatically think of their website, in terms of SEO. But, this word also works quite well with social accounts too. One of the most important things you can do on ALL of your social profiles is to fill out any and all information. This includes a business profile picture, URL to your website, URL to your other social sites, company logo, who you are/about us, a description of your business, etc. Also, make sure that you are optimizing the content on your social profiles; when sending on a post on Facebook, include some of the relevant keywords or hashtags, when posting on twitter do the same, when posting on Pinterest use hashtags that are relevant, but also will lead more traffic to your pins. 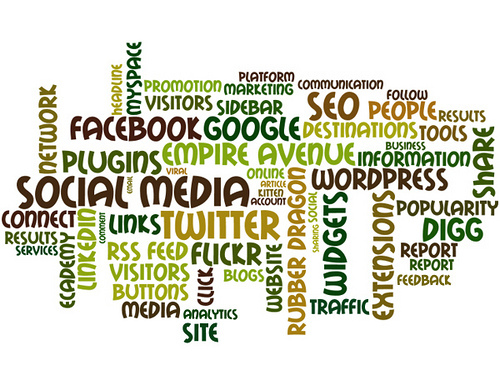 These are all important aspects to social optimization. Not only should you have other social sites on social profiles, but you can virtually promote your social sites just about anywhere. You should be adding a special social page letting everyone know who visits your website what your social profiles are, you should include them (at least Twitter and Facebook) on your email signature, you should be including the links in your newsletters when you send those on, if you have a storefront have some sort of a signage letting people know where to connect with you. I belong to Twitter and I see people posting way too much, not only that but none of it is meaningful or helpful to me. So I tend to just ignore it. If you want to be taken seriously, you want people to pay attention to what you are saying and you want them to share it, like it, favorite it or whatever else – make sure its quality stuff. Don’t post a bunch of meaningless stuff just to post. In the case of social media, quality is over quantity. If you are posting 10 times a day with babble that no one cares about, well, it’s not going to get you very far. on the other hand, if you only post one spectacular post a day that is interesting, makes people click the link, is funny, makes peoples brains really think, etc. its really going to make a big difference on your following. Also a study was done on content (just words) versus images and images tend to get clicked more, saved more, re-posted more, etc. If you have an image that is interesting post it with a few words and set it free! See what happens, do more people click it, or less? I’ll bet its more! If you have a blog, please make sure that you add a social sharing “app” or plug in to the blog. This allows people to share the blog or whatever other content to their own profile – which means not only did they like it, but they are sharing it. What does that mean? It means you have the potential to gain more of a following because like-minded people tend to stick together; chances are if she/he liked it and posted it, one of their friends will see it and like/share the post as well AND possibly check your website out, blog or other social sites. Websites like WordPress have some really superb plug ins that make this entire process much easier, so make sure to check that out.